Reading Buses took over the Henley Town services this morning. 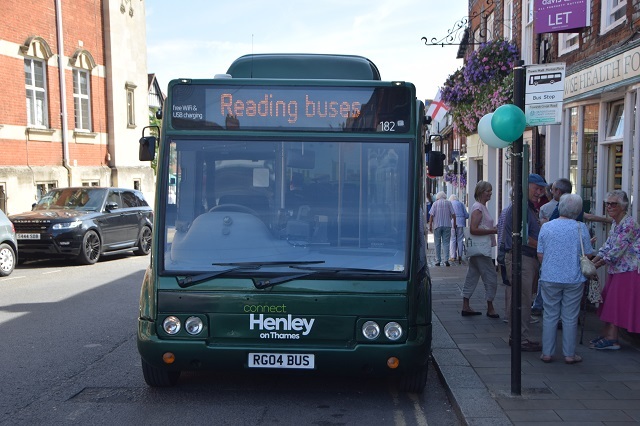 BUS services in Newbury have been taken over by Reading Buses. The Newbury & District operation in the Newbury and Thatcham area employs more than 600 staff. Reading Buses' interim head Tony Pettitt said the acquisition fitted well with the company's current expansion and would help strengthen services in West Berkshire. The interim chief executive officer said: "We are delighted to announce the acquisition of Newbury & District's operation in the Newbury and Thatcham area. 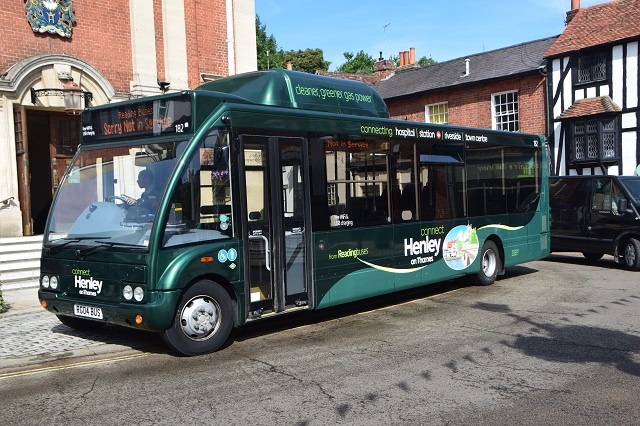 "We have been looking at ways of strengthening and expanding our network and after the recent success with our Green Line and Thames Valley services to the east of Reading we realised we had a great opportunity on our own doorstep. "We will be sorting out all the details and ensuring there is a smooth transition so that customers will see no disruption to their services. 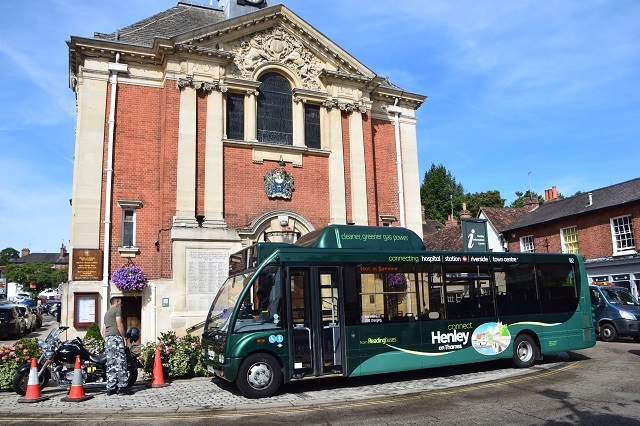 "Initially, Newbury & District will be running all of their services exactly as at present whilst further into the future we may look at merging some routes and harmonising branding." Not sure that figure of 600 staff is accurate. I thought Reading Buses already had a Newbury Buses division. It had a similar livery I recall. Glad I am not the only person confused by the situation in Newbury. I am not clear what Hayward coaches (?) own or used to own, they seem to be the silent horse behind a lot of what goes on with buses in Newbury. What is the situation with Newbury bus station? Planned to be sold, moving to somewhere near the Wharf/Royal Mail, how does this fit in with the developments at Newbury (rail) station? Reading Buses did have a Newbury operation in the past. They acquired the Newbury operations of Bee Line (which started off as the privatised operations of Alder Valley) in about 1992, repainted their buses in a variation of the then-current Reading livery, but closed this in 2011. (source -my memory as a local reinforced by Wikipedia!). Hayward are a coach hire outfit based at Greenham, on part of the old airbase. They also operate under the Weavaway brand, and acquired the old established Wallingford and Didcot Tappins business, whose coaches had a distinctive orange and black livery and had a big school transport operation, some years ago. Presumably they found the fare stage business unviable. A new bus station is being built in Newbury by West Berks Council at the Wharf, which was the old site of Newbury's bus station when I was a lad, and the buses were post box red Thames Valley ones. It also featured (if my memory does not fail me) thatched roof shelters. 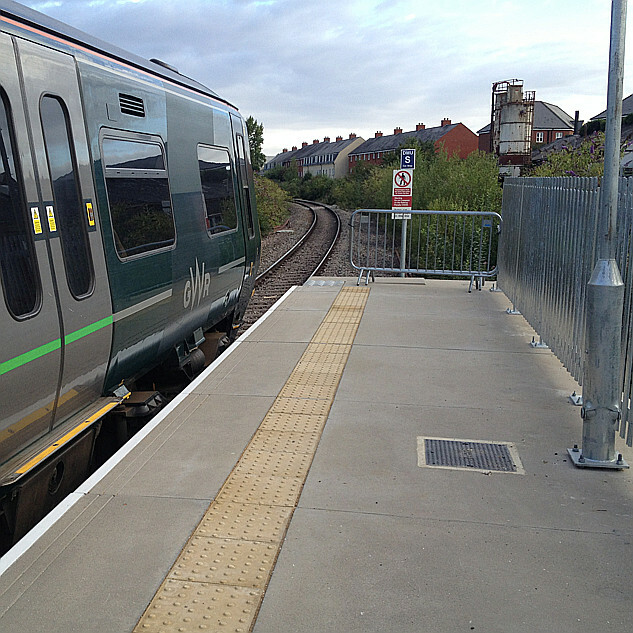 It's development is not linked to any improvement at the station, and it's further away from it than the current one. The area of Newbury Town Centre north of the Station is to be redeveloped, and I understood that's the reason the Bus Station is being moved, as the old/current one is to be demolished as part of the plan. READING Buses have agreed terms to purchase Bracknell-based firm Courtney Buses. The network continues to expand following recent acquisition of routes in Newbury and now Courtney Buses' fleet of 57 buses. Covering commercial bus services in Bracknell and Slough, the company was responsible for serving high-profile corporate contracts as far afield as Basingstoke, Didcot and Weybridge. Probably not in the short term as the company will continue to operate separately. I would think that the Network Day Ticket would be valid on the new services if they connect with other RT services,however if they are isolated possibly not. I personally think that Reading Transport are stretching themselves too far here and don't currently have the management, operational or engineering staff to deal with the extra workload. When I left they were struggling to cope with the operation of the london to Windsor service and, as with the last time they took on more services, the Town network will suffer as a consequence.